Lidl is planning to open approximately 60 new stores a year as the budget chain gains ground on the UK's big four supermarkets. In an interview with The Telegraph, Lidl’s UK chief executive Christian Härtnagel explained that the plans to double its rate of growth is the fastest ever in the UK. Last year, the retailer opened 30 new stores. Härtnagel plans to invest at least £1.45bn by 2019 into the openings. Lidl's market share has grown to 5.4% from 4.7% last year, according to the latest figures from Nielsen, while rival budget supermarket Aldi's share is 8.1%, up from 7.1%. Tesco, Sainsbury's, Asda and Morrison's, meanwhile, have seen their collective market share fall from 67.9% to 66.3%. 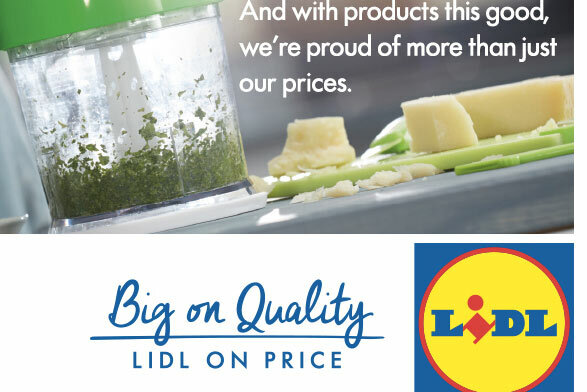 Sales at Lidl rose 18.3% in the three months to 21 May, according to Kantar. Härtnagel took over from Ronny Gottschlich in September last year.